Embraer delivered a total of 181 jets in 2018, of which 90 were commercial aircraft and 91 were executive jets (64 light and 27 large). 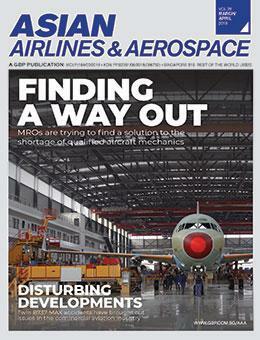 The deliveries were within the outlook ranges for the year of 85 to 95 for the commercial aviation market, while business aviation market deliveries were below the 105 to 125 outlook, as recently disclosed by Embraer during its recent meeting with investors and analysts at the New York Stock Exchange (NYSE). In the fourth quarter of 2018, Embraer delivered 33 commercial jets and 36 executive jets (24 light and 12 large). As of December 31, the firm order backlog totalled USD 16.3 billion. Azul Linhas Aéreas Brasileiras confirmed the firm order for a previously announced 21 E195-E2 jets. This contract is in addition to the 30 E195-E2 jets ordered by the airline in 2015, raising Azul’s total order to 51 Embraer E2 aircraft. Azul is the launch operator of the E195-E2 and will receive the first aircraft in 2019.